My name is Shelleen Baraldi and I specialize in helping buyer’s and seller in the North Denver Metro area including the cities of Broomfield, Arvada, Brighton, Westminster, Thornton, Lakewood, Boulder, Erie and the surrounding areas. If you are considering listing your property in the Denver Metro area ask me about our latest internet marketing systems. I would love the opportunity to earn your business and look forward to hearing from you. I have 23 years experience in the real estate industry. As a Broker/Associate with EXIT One Realty I bring special tools and solutions that exceed the expectations of my clients. I am a proud member of the National Association of Realtor, Colorado Association of Realtors, and Denver Metro Association of Realtors. I served as 2009 President of North Metro Denver Realtor Association, member of the steering committee to unite 3 local Realtor® associations and served as director of the unified Denver Metro Association of Realtor with over 5000 members. I am the proud recipient of 2010-2011 President’s Distinguished Service Award. 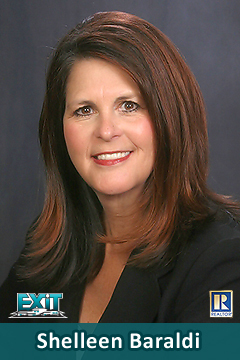 I am excited to be working with the dedicated real estate professionals at Exit One Realty. Their commitment to excellence and treating all their clients as a priority makes me proud to be part of the team. Born and raised in the great state of Colorado, I love being outdoors, golfing, hiking, boating and spending time in the mountains. I also enjoy sewing, traveling, spending time with my family and meeting new people. I have a wonderful husband of 34 years, 4 beautiful daughters and 5 wonderful grandchildren.